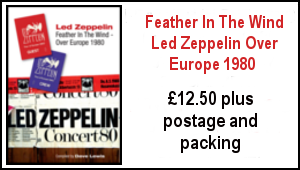 Boot Led Zeppelin successfully revived the spirit of Led Zeppelin’s Earls Court 1975 shows with a marathon performance at the Shepherds Bush Empire last Saturday. Through the raffle, charity auction and the sale of memorabilia, we were able to raise an impressive £1147.69 for ABC Trust at the Lytton Arms event. A BIG THANK YOU to all the fans in attendance who supported our cause. For more information about ABC Trust please visit our website www.abctrust.org.uk . Admission by advance ticket only price – £10 (includes buffet meal) – order now! As I write, the Knebworth countdown is on – with 6 days to go to the actual 30th anniversary of the first show, and 10 days to go before the return to Knebworth Celebration Day Event. 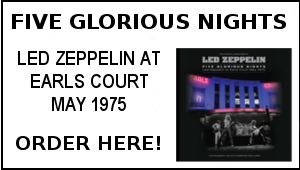 The Knebworth book is currently at the printers and may well arrive next Tuesday which would be quite fitting. Graeme and I are travelling over to Old Knebworth tomorrow to check last details at the Lytton Arms. 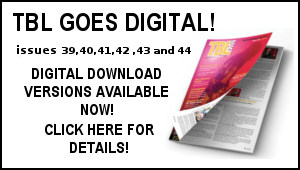 The clips and media coverage of the ‘It Might Get Loud’ film blazed out a simple message in my view. Jimmy Page has still got it. In spades. Well as of Monday April 6 I will be back in gainful employment. I have a new job working at the Borders store in Milton Keynes. Borders is primarily a major book selling outlet and also sells Magazines, DVD’s and CD’s –the MK store has a Paperchase concession selling designer stationary and a Starbucks café. It’s the bottom rung in but a foot in the door and as the singer once said ‘’everything that’s small has to grow’’ and it will bring in much needed regular income. 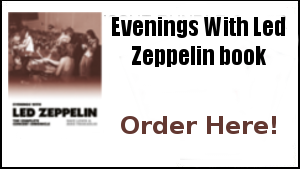 Besides the tribute concert performance from the mighty Boot-Led-Zeppelin we were able to provide a number of other attractions for fans to enjoy in the lead up to the live show.